Nonsensible Shoes: A libertarian hit piece on Reagan? Why? Nick Gillespie at Reason, in support of a statement by Rand Paul has done a hit piece on Ronald Reagan. The rationale behind it is patently unclear despite the subtext in the article itself about the sooner the GOP gets that, the sooner they will actually be for smaller government. Let me preface my critique of Gillespie by saying that I am normally a fan of his opinions, but in this case, I have to disagree with him. 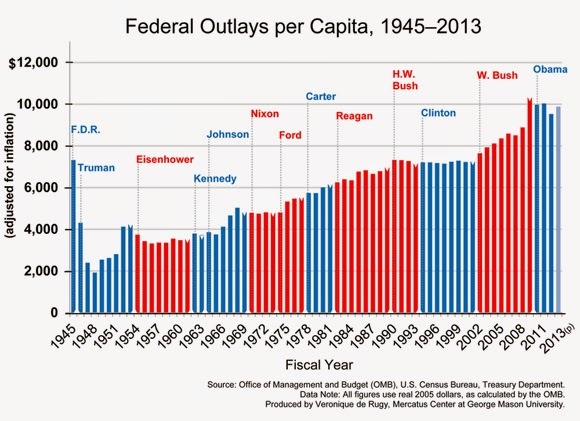 "Rand Paul: Jimmy Carter was better on the budget than Ronald Reagan" is how the vid begins. It shows the Kentucky senator in a variety of settings between 2007 and 2009 slagging St. Reagan as a spendthrift. As Mediaite's Andrew Kirell points out, all of Paul's basic statements about spending under Reagan are absolutely true. The short version: Reagan spent like a drunken sailor and skipped out on the bill." Ouch. But while Gillespie's concern about government expenditures is completely valid, his arguments fall flat on many levels. 1. Winning GOP voters over to libertarianism by attacking Reagan is just a really, really bad way to tackle it. Legend, lore, myth or whatever it is about Reagan is what it is. Reagan is an icon. Trying to tear it down turns your audience against you right from the start. Imagine trying to convert Catholics to Protestantism (an analogy based on the idea of similar basic tenets but disagreements on some issues) by starting with "Let me tell you what Jesus did wrong." It simply won't work. 2. The idea that Reagan went off the rails on military spending is a fair argument, but only if it is observed in a vacuum. At the time, Iran saw the United States as a paper tiger, incapable of effectively stopping rogue nations from doing what they want in violation of international decency. They had held American embassy staff hostage for well over a year. The Soviet Union was on the march, not only in Afghanistan but during the Carter years, also in El Salvador, Nicaragua, Ethiopia, . Ronald Reagan faced an advancing Soviet tide, and the U.S. had clearly lost the lead in the Cold War, with rising defeatism at home. To not do anything to stop the spread of communism and socialism at the time was to admit defeat. The Soviet Union's efforts at hegemony did not stop when Reagan came to power. He understood that they were an evil empire and needed to be stopped. He also understood, unlike the current president that harsh words or tough talk would make no difference unless backed up by muscle. Speak loudly and carry no stick does not work. Military spending growth at the time was dramatically essential. Not only did it force the Soviet Union to curtail at least overt sovereign incursions, it also made economic sense - he spent the Soviet Union into submission - they could not afford to spend like America did because of the significantly smaller size of their economy. Reagan was clearly thinking bigger picture, even economically, by spending on defense to the point where the Soviet system collapsed. After Reagan won the cold war, the spending could then be throttled back to normalized levels. 3. It's the Congress stupid. The military spending led directly to the era of the 'peace dividend' and balanced budgets which Bill Clinton was only too happy to take credit for during his administration's tenure. Except that didn't happen until the Contract with America ushered in the first Republican Congress in decades. Because Congress is responsible for budgets - not the president. While Reagan pushed for more defense spending, he clearly was not a fan of bigger government. To foist all of that other spending on him, spending pushed by a Democrat Congress, is misleading. 4. The economic malaise that the economy suffered under Carter cannot be overlooked either. While Carter presided over an economy that languished, Reagan`s economy roared back to life with a vengeance. The spin-off of the military spending no doubt played a small part in that return to prosperity (less so than tax changes and economic policies) as companies supplying the military were suddenly flush with demand, and jobs and growth. I categorically do not espouse government spending with economic growth, but unlike Obama`s `shovel-ready projects` there was clearly a spin-off effect. 5. To paint Reagan as a drunken sailor on spending falls into the category of useful idiot of the left. Gillespie's article is likely intended to disaffect Republican supporters on ``traditional`conservatism while pushing them towards a libertarian view on economic matters. I`m not sure it will accomplish either aim (see point #1). 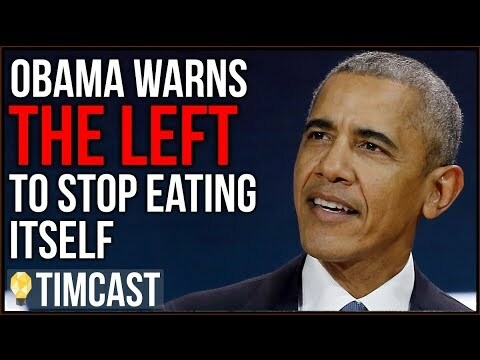 But what it does do is provide fodder for the far left to say `see, even these certain people on the right can see that Reagan was a fool.`` (or a spendthrift or whatever other adjective they care to use). President Reagan wasn`t perfect but he did things with specific purposes and he accomplished in the Cold War a defeat of his enemy without requiring a direct shot. The evidence that Reagan`s ideology was for smaller government is evident in his lowered tax rates but higher tax revenues. It is evident in his actions when it came to problems like the Air Traffic Controller`s strike. Reagan may have spent more than Carter but looking merely at inflation adjusted outlays is not a sufficient view of their respective presidencies. Even the graph that Gillespie references (shared above) shows Reagan`s spending in growth was in line with a historical trend that does not really accelerate until G.W. Bush. By that measure, every president has been more of a drunken sailor than his predecessor - an unfair accusation, even in a vacuum. But again, Reagan was not operating in a vacuum. There were things that needed to be done that he did. He was laying the foundation for a leaner government down the road. If you read Reagan`s writing and listen to his speeches, it`s clear he wanted balanced budgets, smaller government and wiser government spending. Under Reagan it was a question of him doing what he could during his tenure and his successors then taking it further. Had his successors similarly inclined, it might have succeeded. My point is simple - leave Reagan alone Nick. Work your argument a different way and you'll get better results. Otherwise you are just preaching to the libertarian choir and not winning many converts at all.